The UWI Vice-Chancellery, Jamaica, W.I. Wednesday, August 1, 2018—Effective August 1, 2018, Professor Stephan Gift is the new Pro Vice-Chancellor for Graduate Studies and Research, at The University of the West Indies (The UWI). Professor Gift’s appointment was approved at the June meeting of University Finance & General Purposes Committee. He succeeds Professor Dale Webber who has now taken up the portfolio of Campus Principal of The UWI Mona Campus. As the Pro Vice-Chancellor, Graduate Studies and Research and newest member of University’s executive management team, Professor Gift will have responsibility for The UWI’s Board for Graduate Studies and Research which includes oversight of policy and operational plans for the development, regulation, management, administration, funding, monitoring and evaluation of graduate education and research throughout The UWI. The Professor of Electrical Engineering is noted for his illustrious career spanning teaching, programme coordination, research, university administration and public service. He is credited with the introduction of new teaching techniques which steadily improved student performance over the past several years. He served as Deputy Dean of the Faculty of Engineering, during which time he piloted the introduction of a policy on Instructional Development Unit (IDU) training of teaching staff. He also led the revision of the MASc Programme in Electrical & Computer Engineering in order to better meet the needs of industry. Professor Gift, who has supervised over 10 MSc projects, one MPhil graduate and two PhD students, has also maintained a vibrant record of university service, having represented the Faculty of Engineering on several committees, including The UWI St Augustine 50th Anniversary Celebration Sub-Committee; the University Planning Committee; the Board for Undergraduate Studies; Campus Principal’s nominee on Campus Appointments & Promotions Committee; Vice-Chancellor’s nominee on University Appointments & Promotions Committee; and Chair of Campus Safety Committee, to name a few. He also served on the Co-ordinating Committee for the Prime Minister’s Award for Innovation and Invention in 2000, and the University’s Accreditation Working Group for Graduate Studies and Research. His portfolio of public service also includes positions as Director, Telecommunications Services of Trinidad & Tobago (TSTT); Member, National Advisory Committee on Education; Director, National Institute for Higher Education, Research, Science and Technology (NIHERST); Deputy Chairman, Trinidad and Tobago Electricity Commission (T&TEC), and Consultant to the National Gas Company (NGC). 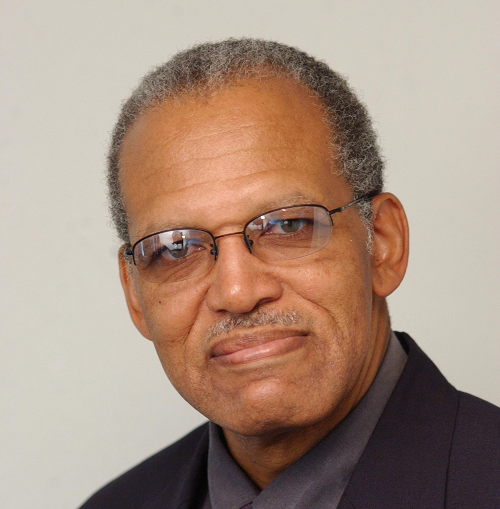 Professor Gift graduated from The UWI in 1976 with a Bachelor of Science degree (First Class Honours) in Electrical Engineering, placing second in his graduating class. He then completed a PhD programme in Optimal Control Systems at age 24, the youngest PhD graduate in the history of the Faculty of Engineering. He was appointed Assistant Lecturer and then Lecturer in Electronic and Control Systems in the Department of Electrical Engineering at The UWI in 1977 and 1979 respectively. Between 1983 and 1995, he directed the Research and Development Centre at the local telephone company TSTT. He was also credited with the successful introduction of Total Quality Management to the company. He returned to The UWI in 1995. In 2005, he was promoted to Professor of Electrical Engineering. Five years later, in August 2010, he was appointed Head of the Department. As Head, he secured the five-year accreditation of the BSc and MASc programmes in the Department which later won the 2015 Vice-Chancellor’s Award for Excellence in Quality. In 2015, he assumed the position of Dean of the Faculty of Engineering, succeeding Professor Brian Copeland. He has published over 80 papers in refereed journals, which have attracted more than 1000 citations. His work in electronic circuit design has gained him several accolades including The Prime Minister’s Special Award of Merit for Innovation in Electronics in 2002 and a BPTT Fellowship in 2002. Among his design accomplishments is a computer-based system for telephone network monitoring, an electronic system for circuit board repair and a microprocessor-based test system (Subscriber Pair Identifier) for the verification of telephone records, which secured patents in the USA, Canada and the United Kingdom. As an alumnus of The UWI, he has also received the Pelican Award for Excellence in Science and Technology from The UWI Guild of Graduates in 1993 and was an Honorary Research Fellow in The UWI’s Department of Electrical Engineering from 1987 to 1989. The University of the West Indies extends congratulations to Professor Stephan Gift on his appointment as Pro Vice-Chancellor.